After three decades of creating lovely floral arrangements for all sorts of occasions, Becky Baeverstad has earned a reputation as a trendsetter and a reliable florist. Discover how she turned a family passion into a successful business. Three decades fly by when you’re doing what you love. 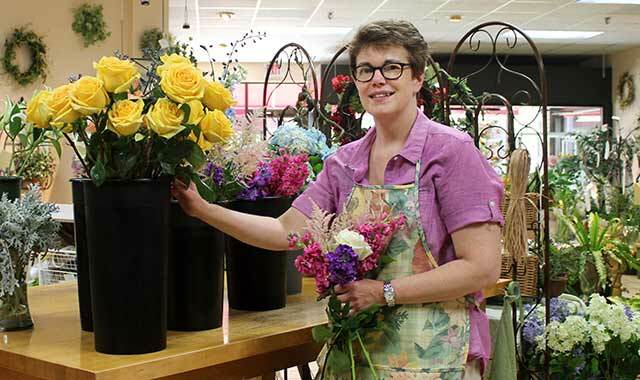 Just ask Becky Baeverstad, who opened Enders Flowers at Edgebrook in Rockford 30 years ago – the same location she works from today. Along with juggling her shop and home life successfully, Baeverstad has earned a reputation as a local trendsetter. Her garden-style arrangements are custom-made and naturally elegant; they always reflect the current season. “The arrangement you order from us in February is not the same one you’ll get from us in July,” she says. Baeverstad has operated this way from the start, and now industry trends are catching up with her. The expanding farmers markets outside her door in the Edgebrook parking lot provide a clue. Baeverstad’s artisan approach to floral arrangement has earned her a loyal customer base. Given our four-season climate, most of the flowers Baeverstad uses come from places like Australia, Europe, South America and our West Coast. But even that’s changing. When she’s not setting trends, Baeverstad is keeping up on them. Just as floral styles change, so do customer preferences. But people don’t always know how to describe what they want. That’s when a little insight into human nature proves invaluable. It’s also what distinguishes a true custom florist from a big-box floral retailer. Baeverstad has always encouraged customers to bring in photos of flowers and arrangements, to help her better understand their tastes. The advent of Pinterest has taken that idea to a new level, for better and worse. Along with wedding flowers, Baeverstad enjoys working on funeral arrangements. Technology is a double-edged sword for florists. On one hand, the Internet makes it easier for customers to view options and order flowers quickly. On the other hand, this practice may yield disappointing results. While Baeverstad has long since beaten the odds as a small business owner, she never takes success for granted. She understands how quickly things can change and has seen her share of ups and downs. “Flowers are a luxury. Recession makes things more difficult. During those times, you have to tighten the belt … like planning route deliveries more carefully to conserve gasoline,” she says. One of the things Baeverstad loves most about small business ownership is her ability to accommodate her family’s schedule. She comes by her love of family and flowers honestly. Many years ago, her great grandfather, Karl Enders, owned and operated Enders Greenhouse in Cherry Valley, Ill. Her mom, Anne Meyer, purchased and ran that business for many years. Baeverstad “washed pots, carried flats, watered, everything,” in her youth, but she had no intention of someday running her own greenhouse. Still, the apple doesn’t fall too far from the tree. After earning a degree in horticulture from the University of Illinois, she was approached by Edgebrook officials in 1984. They asked if she’d be interested in opening a flower shop. Her mom granted permission to use the family business name, and, 30 years later, “Enders” is still associated with beautiful growing things. “The business has fit well into my life,” says Baeverstad. “I’ve juggled parenthood and a work life well.” Now daughters Molly and Sarah, who once spent many hours helping at the shop, are all grown up. Baeverstad and husband Eric, a computer consultant, will travel to Seattle this fall to witness the wedding of their eldest to a Lutheran pastor. Which leaves one more looming question. 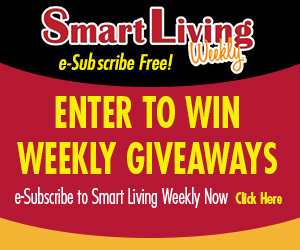 This entry was posted on Thursday, August 27th, 2015 at 11:58 am	and is filed under Northwest Business Magazine. You can follow any responses to this entry through the RSS 2.0 feed. Both comments and pings are currently closed.